The 2019 Mazda3 is finally here. We know that a lot of our customers have been anxiously awaiting this new model, and the time has arrived. 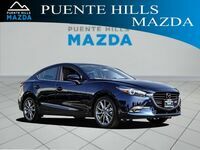 Starting at $21,000, the 2019 Mazda3 can be yours today. 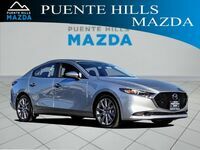 Come into Puente Hills Mazda at your earliest convenience to browse our Mazda3 inventory and take your new car off the lot. 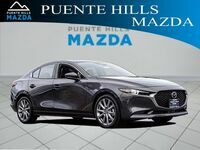 The 2019 Mazda3 gets 26 mpg in the city and 35 mpg on the highway with its 2.5 L SKYACTIV ®-G engine. 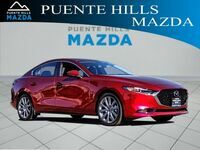 We have all the information you need to know about the 2019 Mazda3 so come with us to learn more. The chart above shows that the 2019 Mazda3 makes efficient use of its space. In the design column you can see two of the storage features it has. Additionally, there is a glove compartment and a front passenger-side seatback pocket. All of the little details will allow you to keep your new vehicle organized. Furthermore, the 2019 Mazda3 has 60/40 split fold-down rear seatbacks, which means that you can further customize your space and find functional storage for whatever you are transporting. Located around the cabin are also a number of entertainment features within the 2019 Mazda3. These features include the eight speakers spaced out so that every passenger can enjoy the AM/FM audio system. 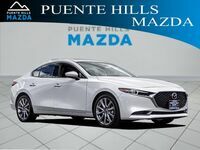 Plus, there are two USB audio inputs to connect your devices, which is great, because the 2019 Mazda3 has Bluetooth ® hands-free phone and audio streaming capability, so you will want to keep those smartphones charged in order to bump your favorite tunes for the entire ride. Lastly, there is a MAZDA CONNECT ™ Infotainment System located up front. This 8.8-inch large center display is hard to miss, and it comes with many capabilities such as mobile 911 automatic emergency notifications and SMS text message audio delivery and reply.